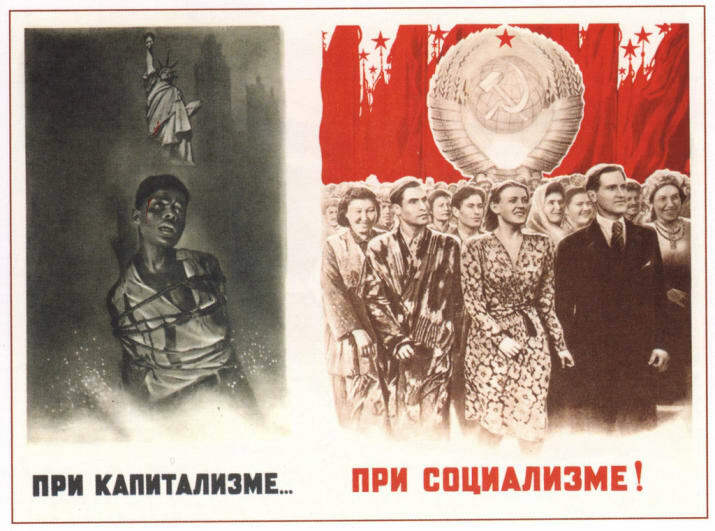 This post concludes the remarkable story of African Americans who worked in Uzbekistan and other Soviet repulbics. The first part appeared here in August; it was first published on RFE/RL in April 2016. You Don't Know Your're Black? Yosif Roane's sometimes diffuse recollections narrow to a laser-like focus when he discusses certain anecdotes from his childhood, like exploring nature in Uzbekistan and creeping around Red Army barracks in the Soviet republic. He's less mobile these days, his walker compensating for a bad right leg. During a recent interview, Yosif shuffled into the room wearing a brown tweed jacket, a white tie, and a black shirt with gray stripes that matched his thinning hair and neat mustache and soul patch. He erupts in laughter after telling about a time he saw a man from Africa on a bus he boarded with his family in Tashkent. "I said: 'Mama, Mama, look! Look at that black man!' And everybody on the bus cracked up. I was almost as black as he was. And everybody said, "You mean to tell me you don't know you're black'" Yosif says. Like many other black Americans who came to the Soviet Union during this period, Yosif's father said that he experienced less racism there than back home. He told journalist Yelena Khanga that the only incident he could recall was when two white Americans hurled racial slurs at him in a Moscow barbershop and were thrown out after the barbers learned what they had said. The elder Roane extended his contract to work in the Soviet Union in 1934 and was sent to Soviet Georgia to work at a tomato cannery. 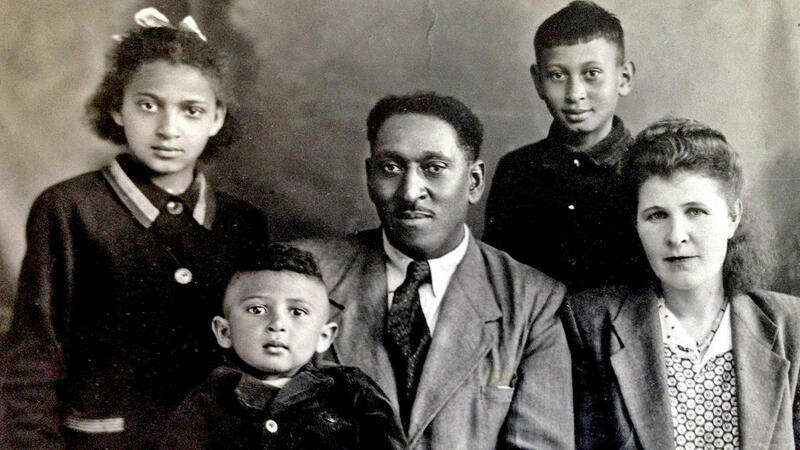 The family remained for another three years before Soviet authorities delivered an ultimatum to the group of African-American agronomists: Give up their U.S. citizenship and stay, or leave the country. This turning point came in the fateful year of 1937, at the height of Stalin's Great Terror. This campaign is estimated to have resulted in more than 1 million killings by the Soviet state amid an atmosphere of rising paranoia. According to Khanga, it nearly ensnared her grandfather and Joseph Roane's recruiter, Oliver Golden. She writes that Golden learned that the Soviet secret police had come in the middle of the night to arrest him while he was away on vacation in southwestern Russia. When he returned home, Khanga writes, he went to the local secret service office and asked to be arrested "if you think I'm an enemy of the people." "Comrade Golden, don't get so upset. We've already fulfilled the plan of arrests for your area. Go home and work in peace," she quotes the police official as responding. According to Yosif, the increasingly perilous political situation in the Soviet Union played no role in his father's decision to bring his family back home. He says Joseph Roane's mother was ill. "He wanted to come back here quickly to get to see what he could do for my grandmother," he says. "My father loved his mama." Speaking to Khanga, Yosif's father portrayed his return as bittersweet. "In just a few years -- you'd be surprised -- you could forget what segregation was like," she quotes him as saying. "When Golden spoke at my college, I didn't believe him when he said there was no segregation in the Soviet Union. Why should I? But it proved to be absolutely true." 'Nobody Called Me Stalin' Yosif was not the first child of an African-American to be born in the Soviet Union. In the late 1920s, a few years before Yosif's birth, Golden fathered a son named Ollava who went on to become a ballet dancer and choreographer and died in the Russian city of Vladimir in 2013, at age 87. But based on open sources and research published by Carew, he was the first whose parents were both African-Americans. 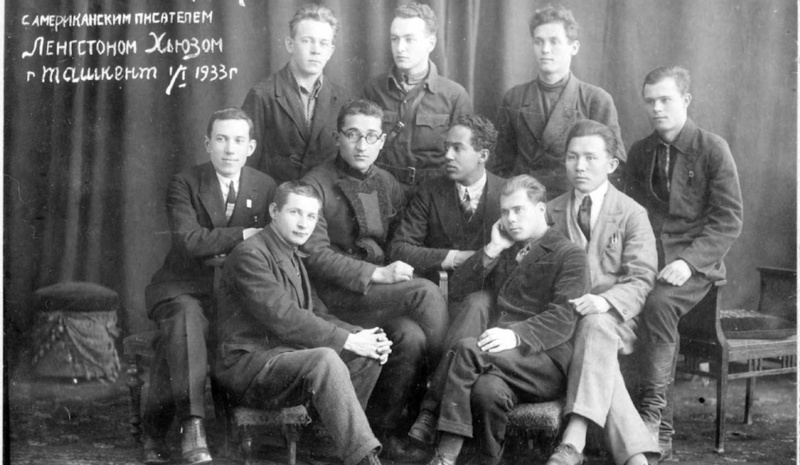 "I'm the first black American born in the Soviet Union," Yosif says emphatically. Almost all of the children born to these African-American expatriates in the 1920s and 1930s had Soviet mothers and were Americans only on their father's side. "They all practically stayed in the Soviet Union," says New York-based filmmaker Yelena Demikovsky, who has interviewed numerous descendants of these African-Americans for her film Black Russians: The Red Experience, which is in postproduction. Yosif, however, returned with his family to Kremlin, Virginia, at age 5 and settled in the clapboard home that he still owns. On a recent visit to the house through rolling fields of green spring wheat, a rusty windmill -- once a sign of the Roane family's self-sufficiency and affluence -- creaked and whined as it twirled. Yosif's father became a widely respected local educator, teaching at A.T. Johnson High School in the nearby town of Montross, one of the first high schools for African-American students in the area.The school, which opened the same year that the Roane family returned from the Soviet Union, was turned into a museum under the direction of Marian Ashton. She co-produced the documentary Kremlin To Kremlin along with Jon Bachman of Stratford Hall, a museum that is part of the Virginia Historical Society. "My passion for sharing this...is to introduce and engage the minds of all persons, especially the youth," Ashton says. "Hopefully they notice that these are ordinary people who just happened to have done some extraordinary things." The schoolhouse museum that Ashton runs features a small exhibit space that includes artifacts from Joseph Roane's life, including a fur hat and vest that he brought back from Uzbekistan. Sitting amid the relics of his father's life, Yosif says that he did not speak English -- only Russian -- when he returned with his family from the Soviet Union. "When my mother and father didn't want me to know what they were talking about, they spoke English," he says. Nearly eight decades later, Yosif knows only a few words of Russian. Greeting a reporter at the museum, he says, "Idi syuda" -- or "come here" -- with a decent Russian accent. He rattles off the word for dog -- "sobaka" -- and kitty-cats -- "kiski" -- and adds that he once had a dog named Tuzik, a Russian analogue to popular English-language canine names like Fido or Rover. After serving in the U.S. Navy, Yosif followed in his father's footsteps and became a teacher, had a family, and ran a barbershop as well. As for his name, Yosif says: "Nobody called me Stalin. In fact, a lot of people don't know, even right now, don't know nothing about Stalin. It didn't matter. It's just a name." He seemed unclear precisely why the Uzbek doctors added Kim to his birth certificate as well. The name, in fact, is a Russian acronym for the Young Communist International, the youth branch of the Communist International. It was among the newfangled names that became popular during Soviet times, many of which were based on Bolshevik leaders and buzz phrases. Less clear are the origins of the name of his town in Virginia. 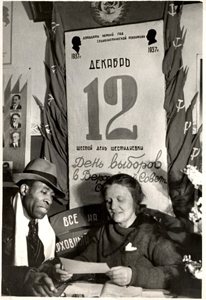 According to Khanga, the elder Roane's hometown nearly prevented him from renewing his American papers at the newly opened U.S. Embassy in Moscow after the establishment of U.S.-Soviet diplomatic ties in 1933. She writes that a low-level U.S. diplomat initially refused to believe that he hailed from a town called Kremlin and grudgingly signed off on the paperwork after cables with Washington confirmed his story. An authoritative history of the county in which Kremlin is located -- titled Westmoreland County, Virginia 1653-1983 -- sheds little light. "Besides being the citadel of Russian government, Kremlin is a suburb of Paris," the book notes. "How the name came to be applied to a place in Westmoreland is unknown."